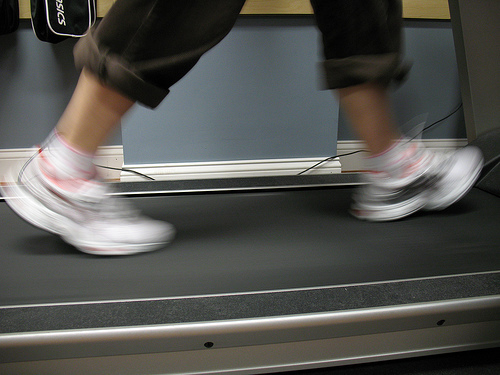 SOCIAL NETWORKING AND THE TREADMILL DYNAMIC | Thoughts of a Calabarboy. 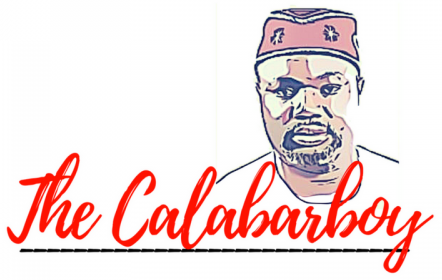 SOCIAL NETWORKING AND THE TREADMILL DYNAMIC – Thoughts of a Calabarboy. Okay I agree that I have almost 5000 friends on Facebook, but I can explain that easily. I am not a local champion of some sort, neither a superstar nor some self-accomplished dude with lots of fans checking me out. There are two simple reasons why I have generated this number of people to the point that Facebook has officially banned me from adding more friends and require that I create a fan page. First, I am a functional public relations officer of my Alumni association, and by that privilege, I need to connect with as many members as possible to keep information flowing. These members make up almost half the number of friends I have. The second reason is that from 2005 when I joined Facebook, I had determined that it’s either it is of use to me or I drop it. So when I began seeing its potential as a platform for connecting with positive virtue, I started leveraging its power to reaching out to people who have so far made a huge impact in my life. Only a small number of people on my list are personally unknown. But in the past months I have be appraising the inefficiencies and deficiencies in my life, especially those having to do with online relationships; those affiliations nurtured by cyber ϋber culture. Just like every other outlet of human interaction facilitated by technology, social networking has proven to be the neo-globalization that makes the economic definition trivial. I have created new friendships, reactivated old ones, facilitated strategic partnerships transcending geography and culture, promoted successful events all through social networking. And we know of course I wouldn’t be wrong if I posit that Facebook is now synonymous with the term social networking. So, most if not all of the above feathers in my social cap were awarded by Facebook. But frankly there lies this little matter that needs to be addressed, and this borders on the nature of cyber social contacts. Have they made the world more closely knit, or simply noncommittal? So much goes on these online social platforms that it is almost impossible to measure cause and effect. Beyond the basic idea of searching out old friends and connecting with new ones, is the rise of causes, ideas, projects, and initiatives that seem to rally people around a common goal. It would usually take a really committed person to join a cause around their community and work at accomplishing the set goals. But now, it is just a click away. You hit the ‘Like’ button and you automatically support the cause. Not more is demanded from you. After discovering that I had unknowingly join almost 150 groups and pages on Facebook, I had to cleanup my domain an d still found that I was still present in over a hundred whose cause I believe in. but beyond the premium I place on what they do, is that I rarely if at all visit up to ten of such pages in a week, neither do I make any concerted effort to advance their agenda. My support is at best a hearty concern. Before the opportunities to know of and get more involved with great initiatives came around, we were limited to our immediate confines of influence, which required a stronger sense of responsibility and accountability. But with the gradual migration of community resources to the online platform, I find that most people have therefore created an online personality to match through which they interact with anything on the “webosphere”. It is simply the feel good personality who joins a good cause and comment a few times on its wall then hop on another wagon with little or no measurable influence on the former. A few others have decided that it is their own opportunity to make their voices heard by forming all kinds of groups and fan pages, which by the way, a closer look will reveal a similar group, doing a similar thing, in a similar location. So beyond partnership is the desire for ownership. This is by no means a bad thing unless we check to what end. A few things to note is that first, our society is progressing in stages, and what we have now is that stage where social activism and participation is being sparked by technology. Whether it moves from there is left for social prophets or seers to prognosticate on. Second is that social networks have increase social participation that never existed. Until we had mobile phones and social platforms, our influence remained limited to work, family or our varying flirtations. But now, we can discuss serious or stupid matters with people we have never seen but have a common interest. Thirdly, many of the people who use these social platforms are lacking in knowledge of the strategic approaches to generating results through these tools. While in some countries, Social Media has already become a curriculum in schools, seeing how the future portends, Nigeria is still lacking in such proactive academic thinking. I remember going to Syracuse University sometime this year and was speaking with a German Professor who was designing a major Social Media study for the Ph.D. level students. I was impressed at the level to which she had created points of power from the concept. This is an exciting time in human history that we have become so crazily connected in scary ways. But with this comes also the issue of the connections of nothingness or naughtiness. There is an increased capacity for superfluity in transience and this makes it feel like a dangerously big bubble. People now feel that can lend their voices and not their hands, discussing passionately online and reverting to nonchalance and avoiding personal responsibility. Again it is not necessarily bad, at least we can infer from some intelligent assertions, but how erratic these forums have become with no calculable impact on society. I have worked the social platform, but I learnt never to start one without a matching tangible on-ground structure. So the onus is to take a more quantitative and qualitative approach to how we can translate our online power (potential power) into actual measurable impact. Then we leave some structure for the next generation to flag off their contributions. While we have succeeded in expanding the possibilities of our relationships and involvements, still we run the risk of falling into the treadmill dynamic. It seems we are running very fast in a particular direction, burning some much web energy but remaining in the same location. My point is that there is just so much connecting going on, but very little strategic partnerships. Connections are a necessary first step, but for social networks to really deliver on its true value, connections must become partnership. These are the amazing potentials we enjoy today and it presents us with the opportunity to move along the continuum from connections to friendships, from friendships to partners, and from partners to progress. I agree. I would love to see an analogy though as to a solution for strategic partnerships. It seems like many people have something to say about the problem, but there’s no real solution. Nice article. What I mean there is that you graduate from potential to actual power when you translate your online presence into physical contacts, by whatever means. That is left for the interested party to go figure how will I do that. There are hundreds of ways to go about that depending on your given scenario or your goals. So this is pretty parabolic and real solutions don’t lie outside, they lie within. People only serve to facilitate and provoke your thought towards finding real solutions for yourself.